There are many people who regularly make searches on search engines like Google, Bing etc, simply to find the process to do a particular thing. As we always use “How to” instance simply to find tutorials on the internet. There are many people who regularly make searches on search engines like Google, Bing etc, simply to find the process to do a particular thing. For example, we always use “How to” instance to find tutorials on the internet. Yes, basically when we do not know how to do something, we all tend to do the same start finding on google and to show us our miseries there are pages like How-to-fix-a-toilet, created by the tech giant Google News Lab in collaboration with Xaquin GV (journalist of interactive visual data), which uses data related to searches made by users about of “How to” things. Xaquin explains that he was inspired by his own searches since his work is not precisely the manual work of the house: fixing a toilet, a door or a light bulb. The site allows users to see what the top “how-to” searches are for each country. It is curious to see how the needs of people change depending on the region. 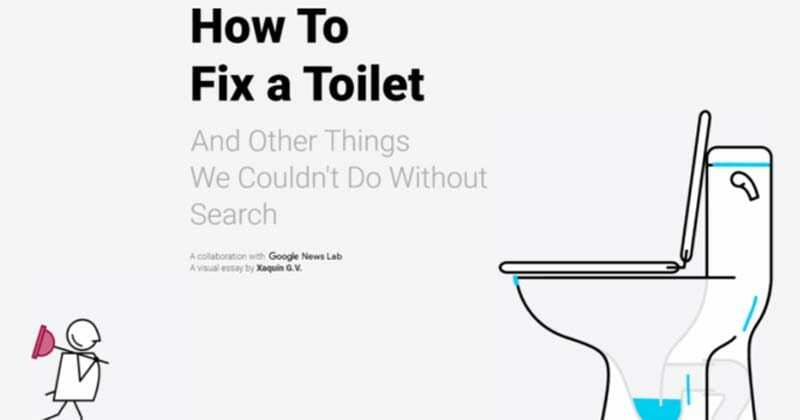 For example, in India what is most sought is “how to hack Facebook”, while in places like Italy they look for more “how to fix a window” or “a toilet”, yes, it’s a bit different from the India. However, if you want to check out more names on the infographic website then simply click here. Moreover, all the data regarding ‘How To’ search is also available on their GitHub page.